It’s party season, aka the excuse to embrace all things glitter, sparkle, and high fashion. 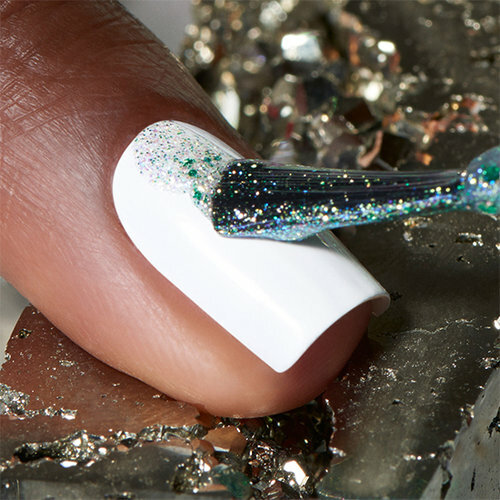 Step up, and then step and repeat with Metamorphosis by OPI, six limited edition nail lacquer shades filled with polychromatic glitter particles. We know that you’re busy and on-the-go, so we wanted to create nail lacquer that can take you from morning coffee to evening cocktails. Compelling, transformative, and wildly inventive – you can take it to any level with one of these six nail lacquers. 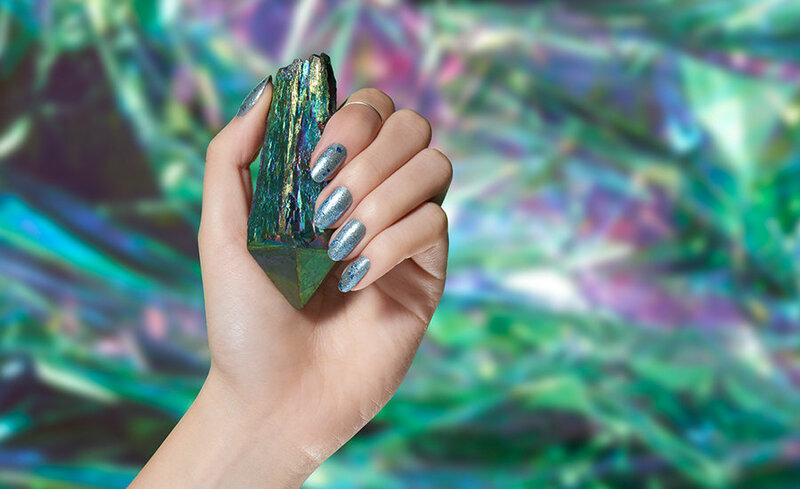 The concept of Metamorphosis was hatched after we found ourselves admiring the iridescent fashion across the Paris runways, so we went on a mission to translate the look into an innovative new nail polish. John Galliano’s incredible Maison Margiela runway show was a particular inspiration. For his Spring 2018 collection the genius designer created a transformative fabric that changes appearance when photographed. Having always believed in the transformative power of nail color, we designed six hues to take your nails to the next level. Here are a few of our tips to take your look from day to night. Utilizing a sparkling iridescent appearance, these shades were made to stand out. If you’re looking for a more discreet look leave off the top coat for a matte foil finish. 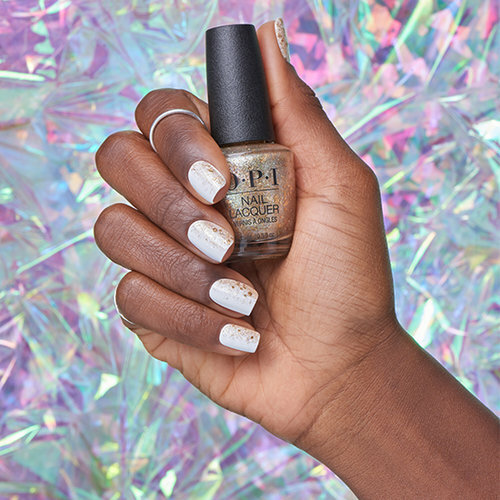 Add a layer of OPI’s classic nail lacquer top coat for glossy, multi-dimensional and prismatic nails. This innovative formula can be worn alone or layered over any lacquer shade depending on the mood or occasion. Simply add one coat for a discreet glitter style or add multiple coats for that extra burst of glam. Our favorite OPI nail colors to layer over include Alpine Snow, Humidi-Tea, Strawberry Margarita, Do You Lilac It?, I Can Never Hut Up and Lincoln Park After Dark. SHOP THE SHADE: DO YOU LILAC IT? #YouLittleShadeShifter, meet the answer to your holiday nail art dilemmas by adding sparkle and dimension to all your nail looks. Simply add a full coat for full shine, dot on glitter spots for disco-ready nails, or try ombre nails by applying a coat just to the tips of the nail. We love a contrast of different nail colors, for a truly transformative effect try Metamorphically Speaking layered over Strawberry Margarita. Now that your nails are ready for their close up 24/7, you have no excuse to share their glam and let them shine on social media – and don’t forget to tag us with #OPIGlitters! 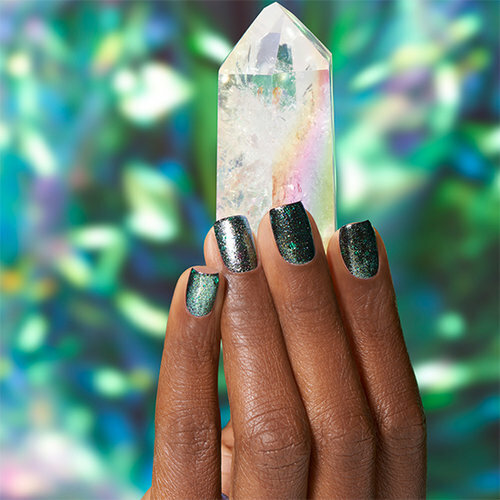 Shop Metamorphosis by OPI today, your nails love to party, but these limited-edition shades won’t last long.